For some people, time spent on the waiting list to get aid for developmental disabilities can seem like a lifetime. For others, it practically is a lifetime. 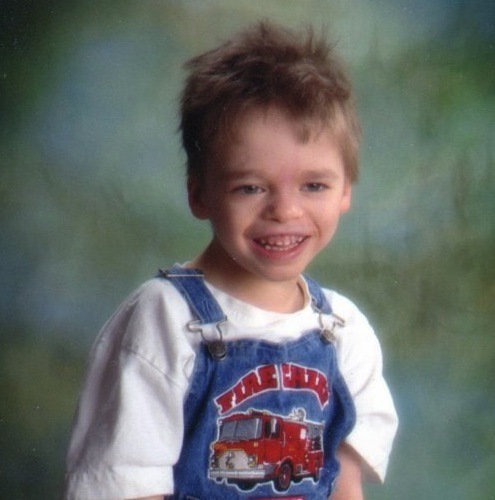 Daniel Ferguson spent eight of his short 11 years of life on the waiting list. Just two months after he left the list and was granted access to state-paid services, he died. When Daniel was born, it was clear he had developmental issues, said his father Rob Ferguson, of Oklahoma City. “From the first moment, we knew he was going to have a hard time,” Ferguson said. Daniel had a chromosome disorder, cerebral palsy and profound epilepsy, and he was severely delayed in development, Ferguson said. Daniel never spoke, but loved to try singing along with opera. He loved classical music, watching football and golf on television, meeting new people and going on car rides. Around age 6, however, after Rob and Kathleen Ferguson had signed up for the waiting list, Daniel began to regress. He no longer made progress on sorting skills, and he began to lose interest in achieving goals. The thought of sending his son to an institution was frightening for the Fergusons. In February, Daniel’s name finally came up on the list. A care worker began coming by to work with Daniel in the daytime, giving Kathleen a much-needed break. With the waiver, plans were made for architectural changes, including adding a new wheelchair ramp and a track system to help transport Daniel around the house. Those projects wouldn’t get done. About two months after emerging from the list, Daniel went into cardiac arrest and died on April 4. Ferguson said he doesn’t know if getting the waiver earlier would have extended Daniel’s life, but it would have made his and his parents’ lives easier.